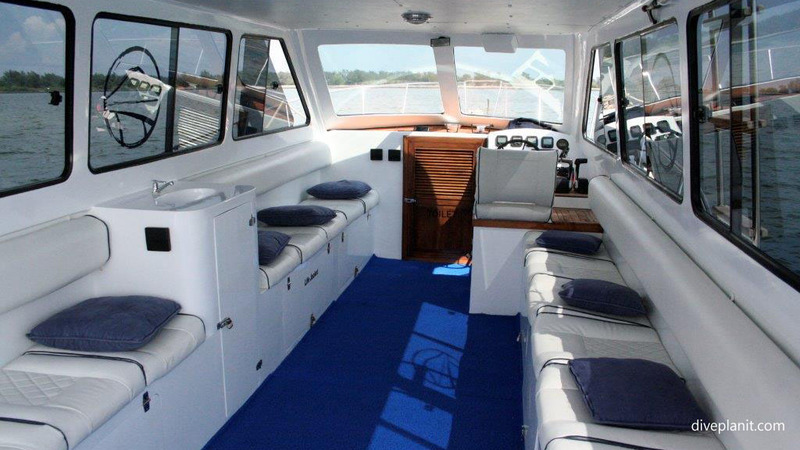 Pulau Dive & Charters operate two dive boats, which are available for charter for one day or more. 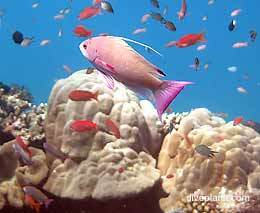 They can arrange diving and cruising itineraries throughout Bali and Lombok. 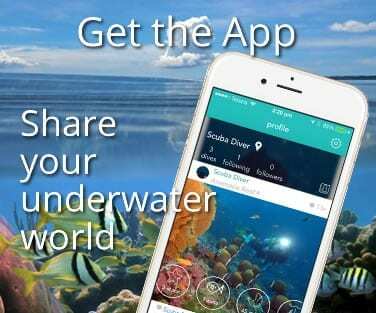 They do not operate a dive school and are not affiliated with any of the global diving accreditation organisations. 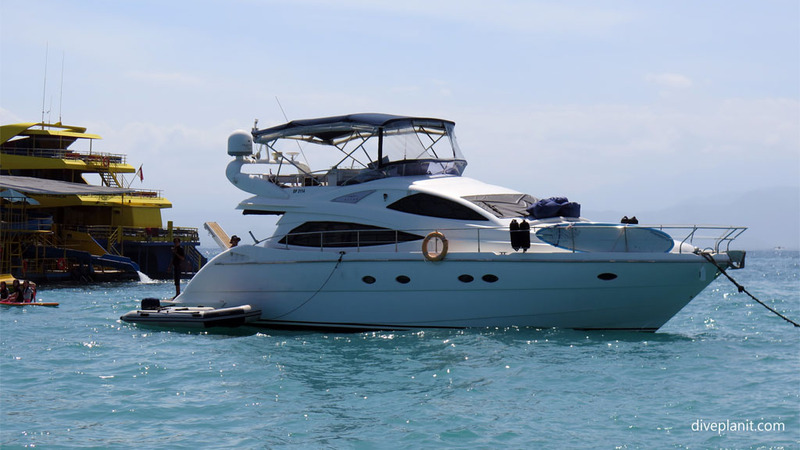 They do have one custom built dive boat, one luxury motor cruiser which can accommodate up to 10 divers, and a dive guide with over 14 year’s experience diving sites around Bali, Nusa Penida and Lombok. 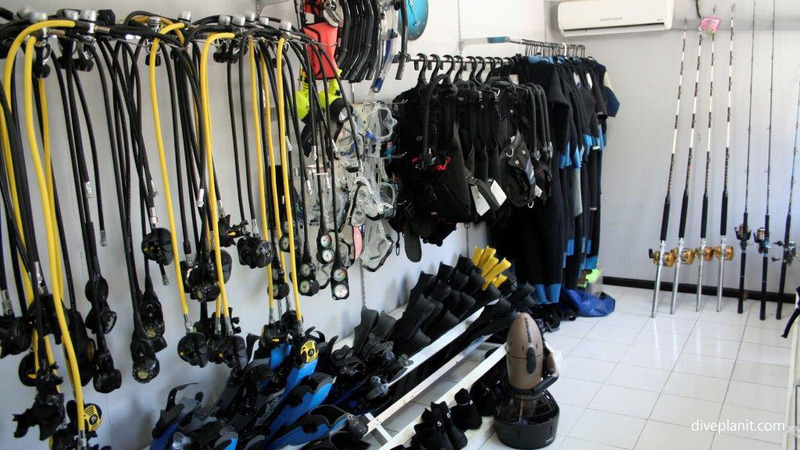 It’s a different kind of dive operation to most of the others you’ll encounter in Bali, but it will suit divers who may need to accommodate the rest of the family on their day out, or groups of experienced divers who know exactly what kind of diving they would like to do, and the comfort in which they would like to do it. 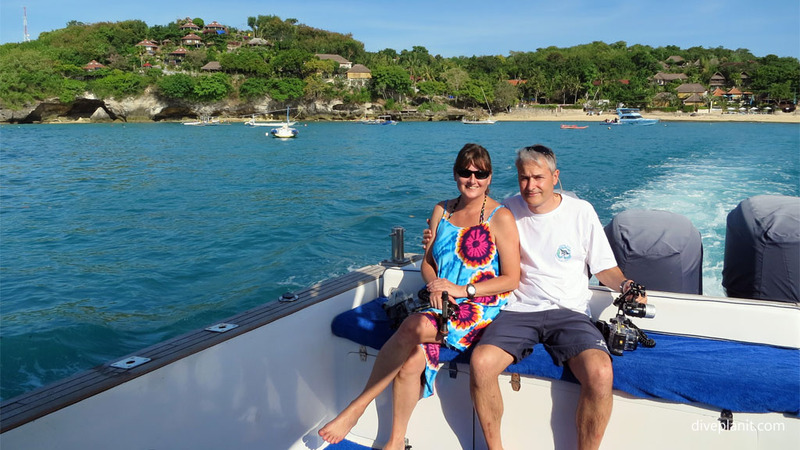 Obviously, with only a small number of divers, the service is very much personalised, and the helpful staff ensure you are both well looked after, and catered for. 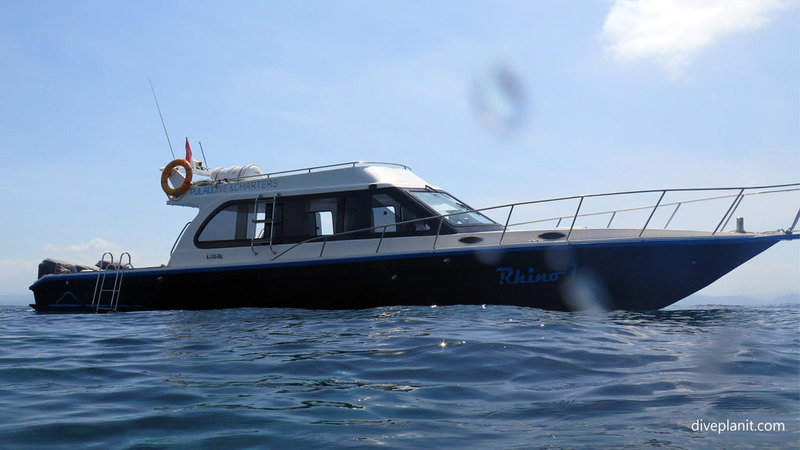 The aptly named Rhino 1, was custom built locally in Bali to be the safest, most comfortable dive boat to do the Nusa Penida dive experience from Bali. It is very powerful, with three 200 HP outboards, very stable, and can move at speed if necessary to negotiate the strait as comfortably as possible. It can accommodate up to 16 tanks on light-weight stainless removable racks which sit down the centre of the boat. If there are fewer divers, the racks are removed creating an even more spacious pleasant cabin area. There are individual seats down the sides of the cabin, and a camera table between the inside cabin and the open dive deck at the rear. The boat also boasts a freshwater shower and electric flush toilet. 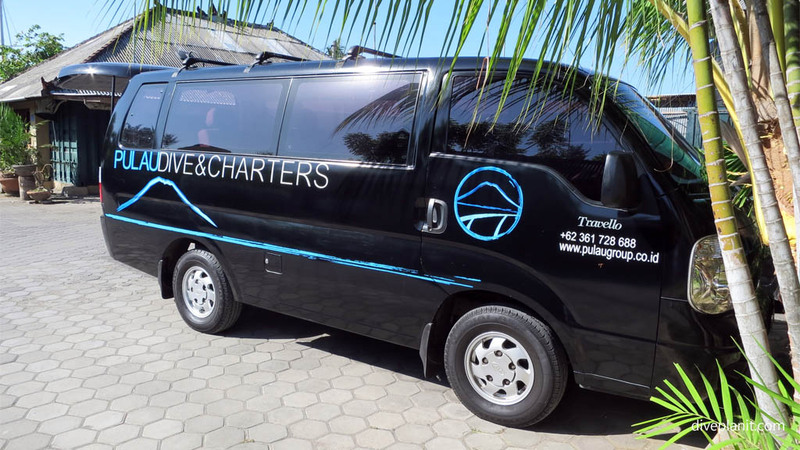 The 56” luxury cruiser Burjuman can take up to 10 divers out for the day, but is better utilised for a four day trip to dive some of the least visited sites along the south coast of Lombok. 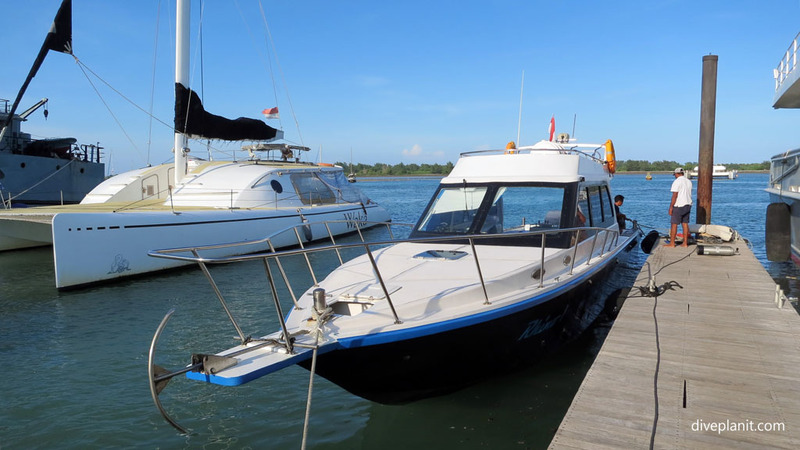 The boats leave from Benoa Marina – so there’s no need to wade through the water to board. Check out some options on their own website. Both boats depart Benoa Marina. The courtesy shuttle will collect you from your accommodation. We were collected from our local accommodation in a spacious minibus and driven to Benoa Marina. Within ten minutes of arrival we were kitted out in what appears to be band new dive gear, from regs down to bootees. Five minutes later we were settling in on the Rhino 1 as she pulls quietly out of the marina and heads off. Riding the Rhino out to Nusa Penida is more like going for a trip on your affluent mate’s motor cruiser than riding a dive boat. The dive gear is stowed, and any bumps are only perceptible in the bowl of fruit on the cabinet which houses the fridge. As the schedule is your own, there is no need to hammer across the swell to meet a pre-defined timetable, and the Rhino1 forges steadily ahead at a speed that makes the trip a pleasure, not an ordeal. Even so, it takes just 45 minutes like the rest of the boats. 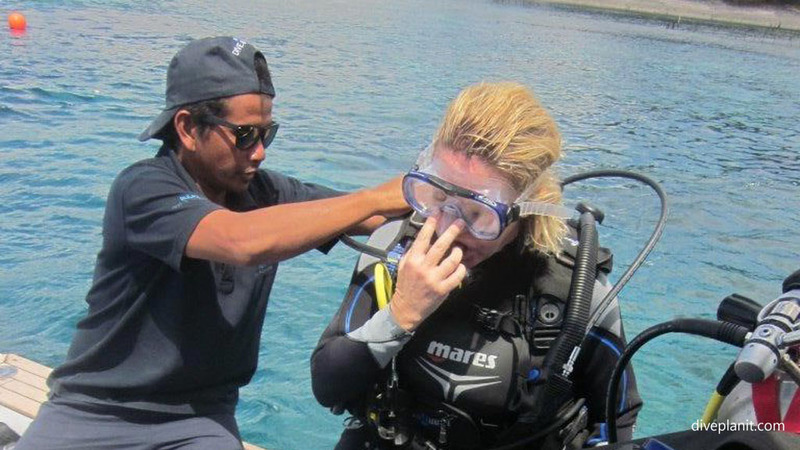 Once at Nusa Penida we are able to select our own dive sites in consultation with the boat’s dive master who has been diving these waters for the previous 14 years. 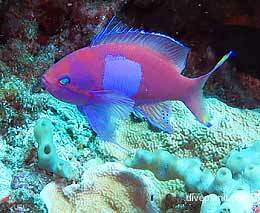 As a result, we are one of only three dive boats on our dive site, and see no other divers during our dive. 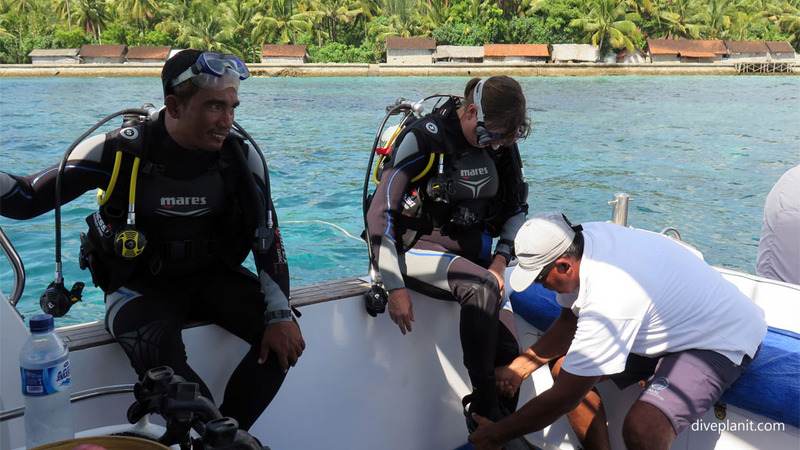 The dive guide checks the conditions as we approach the site and determines how the dive will run. Then we quickly kit up and backward roll onto the top of the reef, descending slowly to our target depth, to drift dive the reef. 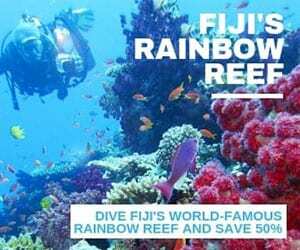 We dive to 50 bar, and do our safety on the 5m reef top. As we surface the Rhino 1 is close by and a few minutes later we’re enjoying chunks of fresh juicy watermelon and having a rinse off under the freshwater shower. 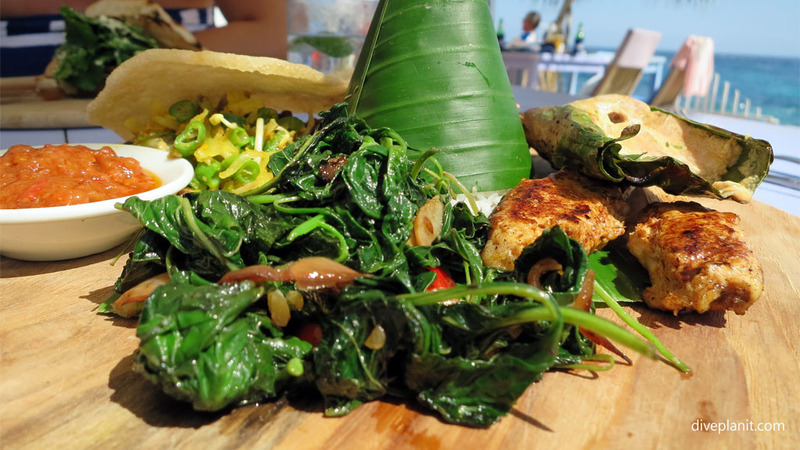 For lunch, we catch a tender to the shore, and the courtesy shuttle to The Sandy Bay Beach Club where we can order from a comprehensive menu. 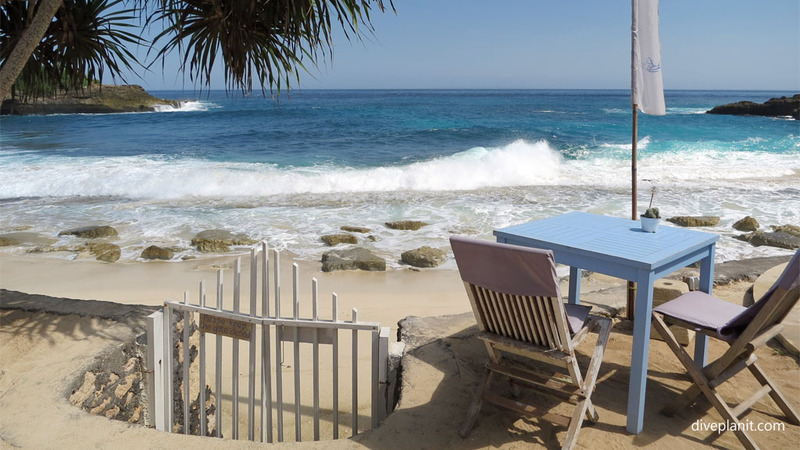 After lunch there’s time to chill and enjoy the amazing view of big waves crashing onto the beach just metres below. After lunch it’s time for a second dive, or a snorkel or whatever it is you planned for the day. It’s your schedule after all, not predefined by the needs of a dive company who needs to run a schedule according to the needs of many clients. On the way back to Benoa you can enjoy an ice cold Bintang (or anything else you may have ordered), and watch the receding cliffs of Nusa Penida catch the rays of the sun dipping to the west, knowing that your minibus will be waiting to take you back to your accommodation as soon as you arrive back at Benoa.